Amsterdam is known for museums, nightlife, parks, breweries & distilleries, and shopping. Your plan includes some of its best attractions: explore the world behind art at Van Gogh Museum, hunt for treasures at Albert Cuyp Market, wander the streets of The Jordaan, and tour the pleasant surroundings at Vondelpark. To see where to stay, ratings, other places to visit, and more tourist information, read Amsterdam road trip site . Hoek van Holland to Amsterdam is an approximately 1.5-hour car ride. In May, daily temperatures in Amsterdam can reach 20°C, while at night they dip to 10°C. On the 31st (Fri), wrap the sightseeing up by early afternoon so you can drive to Dordrecht. Dordrecht, colloquially Dordt, historically in English named Dort, is a city and municipality in the western Netherlands, located in the province of South Holland. Start off your visit on the 31st (Fri): make a trip to Stadhuis Van Dordrecht and then hike along Park Merwestein. Here are some ideas for day two: contemplate in the serene atmosphere at Dom Tower, appreciate the extensive heritage of Canals area, then have fun and explore at Museum Speelklok, and finally admire the striking features of Groothoofdspoort. For photos, ratings, more things to do, and more tourist information, refer to the Dordrecht vacation planner. Drive from Amsterdam to Dordrecht in 1.5 hours. Alternatively, you can take a train; or take a bus. In May, plan for daily highs up to 20°C, and evening lows to 9°C. On the 2nd (Sun), wrap the sightseeing up by early afternoon so you can travel to Cologne. 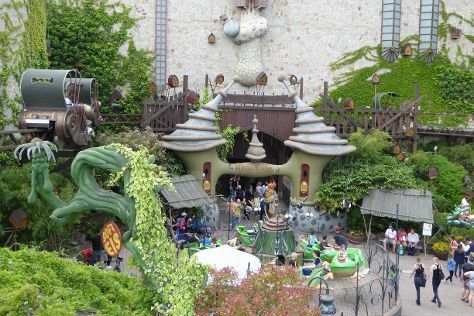 Explore the numerous day-trip ideas around Cologne: Phantasialand (in Bruhl), Deutsches Eck (German Corner) (in Koblenz) and Burg Eltz (in Wierschem). There's still lots to do: admire the landmark architecture of Cologne Cathedral, make a trip to KolnTriangle, take in the views from Hohenzollern Bridge, and explore the world behind art at Museum Ludwig. To see ratings, traveler tips, maps, and other tourist information, go to the Cologne road trip planning website . Getting from Dordrecht to Cologne by car takes about 3 hours. In June, daily temperatures in Cologne can reach 26°C, while at night they dip to 13°C. Finish your sightseeing early on the 5th (Wed) to allow enough time to take a train to Frankfurt. Kick off your visit on the 6th (Thu): admire the landmark architecture of Romer, then explore and take pictures at Commerzbank-Arena, then admire the masterpieces at Staedel Museum, and finally admire the landmark architecture of Cathedral of St. Bartholomew (Dom St. Bartholomaus). Here are some ideas for day two: don't miss a visit to Gerechtigkeitsbrunnen, steep yourself in history at Goethe House, take some stellar pictures from Main Tower, then admire the natural beauty at Palmengarten, then go for a walk through Mainkai, and finally take in the views from Eiserner Steg. 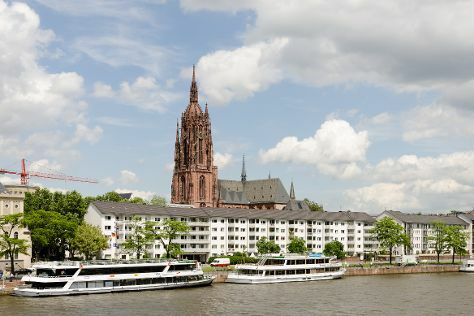 To see other places to visit, ratings, and other tourist information, read our Frankfurt online trip itinerary maker . You can take a train from Cologne to Frankfurt in 1.5 hours. Alternatively, you can drive; or take a bus. In June, daily temperatures in Frankfurt can reach 28°C, while at night they dip to 15°C. Finish your sightseeing early on the 8th (Sat) so you can take a train to Stuttgart. Explore Stuttgart's surroundings by going to Baden-Baden (MerkurBergbahn, Museum Frieder Burda, & more). 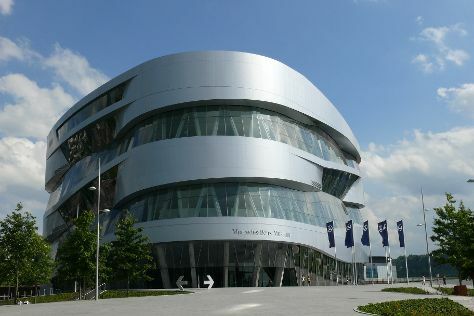 The adventure continues: admire the striking features of Mercedes-Benz Museum, see the interesting displays at Porsche Museum, get to know the resident critters at Wilhelma Zoo and Botanical Garden, and don't miss a visit to Palace Square (Schlossplatz). To find ratings, photos, more things to do, and more tourist information, read our Stuttgart vacation app . Traveling by train from Frankfurt to Stuttgart takes 1.5 hours. Alternatively, you can drive; or fly. In June, daily temperatures in Stuttgart can reach 26°C, while at night they dip to 14°C. Wrap up your sightseeing on the 11th (Tue) to allow time to drive to Lichtenstein. Get out of town with these interesting Lichtenstein side-trips: Teufelsbrucke (in Inzigkofen), Augstbergturm (in Trochtelfingen) and Sigmaringen Castle (in Sigmaringen). To find other places to visit, where to stay, reviews, and tourist information, refer to the Lichtenstein trip itinerary site . Traveling by car from Stuttgart to Lichtenstein takes an hour. In June, daytime highs in Lichtenstein are 25°C, while nighttime lows are 13°C. Finish up your sightseeing early on the 14th (Fri) so you can travel to Zurich. Start off your visit on the 15th (Sat): explore the activities along Lake Zurich, then take an in-depth tour of Swiss National Museum, and then buy something for everyone on your list at Hauptbahnhof. Get ready for a full day of sightseeing on the next day: shop like a local with Bahnhofstrasse, then take in the spiritual surroundings of Fraumünster Church, then pause for some serene contemplation at Grossmunster, and finally take a stroll through Old Town (Altstadt). To find reviews, more things to do, where to stay, and other tourist information, read our Zurich trip planner . Getting from Lichtenstein to Zurich by car takes about 2.5 hours. In June, plan for daily highs up to 27°C, and evening lows to 15°C. Wrap up your sightseeing on the 16th (Sun) early enough to drive to Lucerne. Kick off your visit on the 17th (Mon): appreciate the history behind Lion Monument, then look and learn at Swiss Museum of Transport, and then take in the awesome beauty at Mt Pilatus. Keep things going the next day: snap pictures at Chapel Bridge, then contemplate in the serene atmosphere at Astrid-Kapelle, then take in the awesome beauty at Mt. Rigi, and finally explore the activities along Lake Lucerne. To find other places to visit, where to stay, photos, and tourist information, you can read our Lucerne trip planner . Getting from Zurich to Lucerne by car takes about an hour. Other options: take a train; or take a bus. June in Lucerne sees daily highs of 27°C and lows of 15°C at night. Wrap up your sightseeing on the 19th (Wed) to allow time to travel to Verbania. 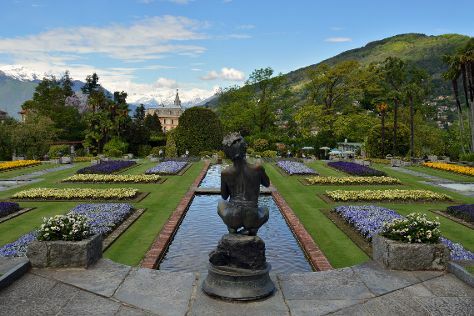 On the 19th (Wed), stroll through Isola Bella and then admire the natural beauty at Botanical Gardens Of Villa Taranto. Get ready for a full day of sightseeing on the 20th (Thu): contemplate the long history of Sacro Monte di Orta, explore the activities along San Giulio Island, and then contemplate the waterfront views at Lake Orta. To find reviews, other places to visit, maps, and more tourist information, you can read our Verbania day trip website . You can drive from Lucerne to Verbania in 3 hours. In June in Verbania, expect temperatures between 30°C during the day and 18°C at night. Finish your sightseeing early on the 20th (Thu) so you can drive to Milan. On the 21st (Fri), don't miss a visit to Piazza del Duomo, then explore the historical opulence of Castello Sforzesco, then take in the spiritual surroundings of Duomo di Milano, and finally admire the landmark architecture of Galleria Vittorio Emanuele II. On the next day, test your team's savvy at popular escape rooms, then admire all the interesting features of Stadio Giuseppe Meazza (San Siro), and then steep yourself in history at Il Cenacolo. For reviews, traveler tips, other places to visit, and tourist information, refer to the Milan itinerary planning tool . Traveling by car from Verbania to Milan takes 1.5 hours. Alternatively, you can take a train; or do a combination of ferry and train. Expect a daytime high around 33°C in June, and nighttime lows around 20°C. Wrap up your sightseeing on the 23rd (Sun) to allow time to take a train to Turin. Go for a jaunt from Turin to Venaria Reale to see Reggia di Venaria Reale about 32 minutes away. Next up on the itinerary: admire the masterpieces at Egyptian Museum of Turin, see the interesting displays at Museo Nazionale dell'Automobile, test your problem-solving skills at popular escape rooms, and contemplate in the serene atmosphere at Duomo di Torino e Cappella della Sacra Sindone. For more things to do, reviews, traveler tips, and more tourist information, go to the Turin online journey builder . Take a train from Milan to Turin in an hour. Alternatively, you can drive; or take a bus. Expect a bit cooler weather when traveling from Milan in June: highs in Turin hover around 26°C, while lows dip to 18°C. Finish up your sightseeing early on the 26th (Wed) so you can go by car to Genoa. 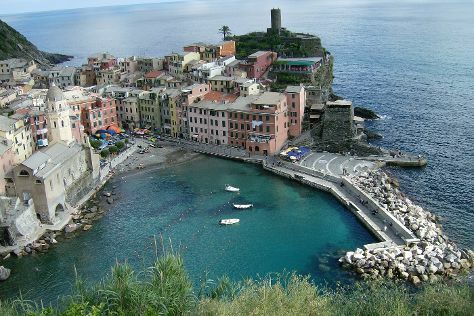 You'll find plenty of places to visit near Genoa: Parco Nazionale Cinque Terre (in Riomaggiore), Footpath Monterosso - Vernazza (in Monterosso al Mare) and Vernazza (Vernazza & Castello Doria). There's lots more to do: observe the fascinating underwater world at Aquarium of Genoa, admire the masterpieces at Palazzo Ducale, wander the streets of Boccadasse, and contemplate in the serene atmosphere at Cattedrale di San Lorenzo - Duomo di Genova. To find maps, ratings, traveler tips, and other tourist information, go to the Genoa day trip tool . Traveling by car from Turin to Genoa takes 2 hours. Alternatively, you can take a train; or take a bus. Traveling from Turin in June, Genoa is a bit warmer at night with lows of 22°C. Cap off your sightseeing on the 29th (Sat) early enough to travel to Sevrier. Sevrier is a commune in the Haute-Savoie department in the Auvergne-Rhône-Alpes region in south-eastern France.It is located on the north-western banks of Lake Annecy. Change things up with these side-trips from Sevrier: Reserve Naturelle du Bout du Lac (in Doussard), Station de ski de Valmorel (in Valmorel) and Station de Ski les Saisies (in Les Saisies). There's much more to do: contemplate the long history of Barrage et Site de Roselend, take in nature's colorful creations at Plaisirs Verts, examine the collection at Ecomusee de Hauteluce, and take in the architecture and atmosphere at Eglise Saint-Germain l'Ermitage. To find reviews, traveler tips, where to stay, and other tourist information, read our Sevrier road trip app . You can drive from Genoa to Sevrier in 5 hours. Traveling from Genoa in June, you can expect nighttime temperatures to be a bit cooler in Sevrier, with lows of 15°C. Finish your sightseeing early on the 2nd (Tue) so you can drive to Lyon. Take a break from Lyon with a short trip to Chapelle Saint-Vincent. in Irouleguy, about 38 minutes away. And it doesn't end there: don't miss a visit to Basilique Notre Dame de Fourviere, examine the collection at Musee Miniature et Cinema, delve into the distant past at Théâtre gallo-romain, and get to know the fascinating history of Fourviere Hill. To see photos, where to stay, ratings, and other tourist information, use the Lyon road trip app . Drive from Sevrier to Lyon in 2 hours. In July, plan for daily highs up to 34°C, and evening lows to 20°C. Wrap up your sightseeing on the 4th (Thu) early enough to drive to Dijon. Start off your visit on the 5th (Fri): don't miss a visit to Place de la Liberation, then indulge your taste buds at Food & Drink, then trek along Owl's Trail, and finally walk around Jardin Darcy. To see where to stay, maps, more things to do, and more tourist information, go to the Dijon holiday tool . You can drive from Lyon to Dijon in 2 hours. Alternatively, you can take a train; or take a bus. Plan for slightly colder temperatures traveling from Lyon in July, with highs in Dijon at 30°C and lows at 17°C. Wrap up your sightseeing on the 6th (Sat) early enough to drive to Troyes. On the 6th (Sat), get in on the family fun at Nigloland. Here are some ideas for day two: revel in the low prices at McArthurGlen Designer Outlet Troyes, then pause for some serene contemplation at Cathedrale Saint-Pierre-et-Saint-Paul, and then admire the striking features of Église Sainte-Madeleine. Take the guesswork out of planning a Troyes vacation by using our trip itinerary maker. Traveling by car from Dijon to Troyes takes 2 hours. Alternatively, you can take a train; or take a bus. In July, plan for daily highs up to 30°C, and evening lows to 16°C. Wrap up your sightseeing by early afternoon on the 8th (Mon) to allow enough time to drive to Arras. Kick off your visit on the 8th (Mon): make a trip to Grand Place and then pause for some photo ops at Monument et Parc commémoratifs du Canada à Vimy. Get ready for a full day of sightseeing on the 9th (Tue): contemplate in the serene atmosphere at Cathedrale Notre-Dame d'Amiens, identify plant and animal life at Les Hortillonnages d'Amiens, brush up on your military savvy at Carriere Wellington, then explore the different monuments and memorials at Faubourg-d'Amiens Cemetery, and finally wander the streets of Place des Heros. For other places to visit, more things to do, reviews, and more tourist information, you can read our Arras day trip planner . You can drive from Troyes to Arras in 3 hours. Other options are to take a train; or take a bus. While traveling from Troyes, expect little chillier days and about the same nights in Arras, ranging from highs of 26°C to lows of 16°C. You'll have a few hours on the 10th (Wed) to wrap things up before traveling to Calais. On the 10th (Wed), appreciate the history behind The Burghers of Calais and then stop by Calais Wine Superstore. 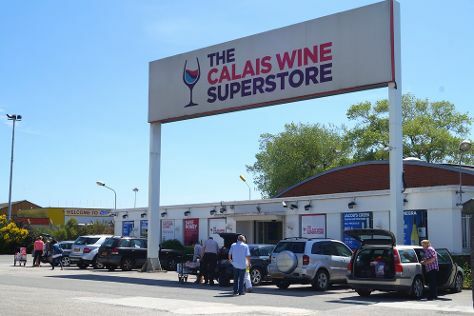 To see other places to visit, traveler tips, maps, and tourist information, read our Calais trip itinerary planning site . Traveling by car from Arras to Calais takes 1.5 hours. Alternatively, you can take a train; or take a bus. In July, plan for daily highs up to 24°C, and evening lows to 16°C. Wrap up your sightseeing by early afternoon on the 11th (Thu) to allow enough time to travel back home.